Unable to turn on the Laptop’s sleep mode feature, and if it does then CPU still remain ON. Unable to wake up the computer after going to sleep or hibernate due to inactivity. Unable to make the system active by pressing any key from keyboard or mouse clicks. If you wake up the computer then it gets unable to accept the finger print sensor and remain stuck to login screen. 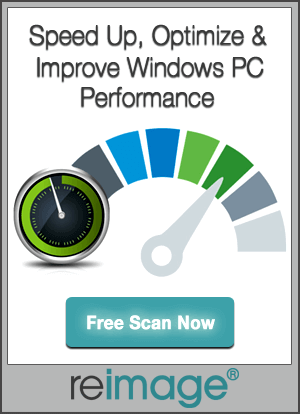 If you are suffering from this issue then it is clear that any of the installed system drivers could be faulty, after upgrading to Windows 10 some of the drivers still remains outdated so you need a professional Driver Repair Tool. 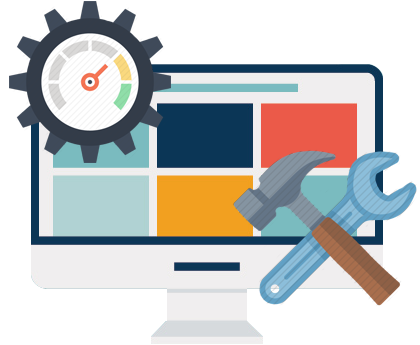 With the help of this app one can easily deal with all types of system driver related issues along with dll, registry, BSoD and more. 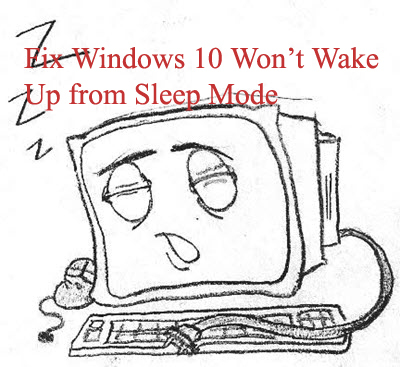 There are lots of users who are suffering from Windows 10 Won’t wake up from sleep mode. In Laptops you may face that laptops won’t go to sleep, and due to this the Power still remain ON and even you will find that CPU and fan are running as well. But there is nothing on the screen and you’ll not be able to wake your system back from sleep. After upgrade from Windows 8.1 to Windows 10 system, many users got a wake up problem. Once the Windows 10 system enters into sleep mode, you can’t wake up the system by pressing any key from keyboard or clicking mouse, you can see that the computer are running but with the black screen. To Shutdown you need to press the power button, this will force shutdown the computer. Users of different brands are suffering from this issue, HP Envy Series, Surface Pro, HP Pavilion, HP TouchSmart, Samsung Laptop with Nvidia or ATI Graphics Card, Lenovo Thinkpad, Acer Aspire and more. You may also like: How to Fix REGISTRY_ERROR Blue Screen Errors (0x00000051)? Disable fast startup option from “Power Options” to get rid of computer won’t wake up after Windows 10 update. Right click on the “Window” button or press “Win” + “X” and go to the “Power options”, click “Choose what the power button do” present in the left panel. Scroll down and go to the “Shutdown settings”, from here you can directly change the settings. After it scroll up and click on “Change settings that are currently unavailable”, then the “Shutdown settings” will turn black, uncheck the box present in the front of “Turn on fast startup” and save changes. After it reboot computer. NOTE: This solution is only applicable if you have upgraded to “Windows 10” and you’ve not deleted previous Windows installation folder i.e. “windows.old” folder. Right click on My Computer icon and go to the Properties. Now, click on the arrow present to the Display Adapters to expand that category. Again right-click onthe Intel(R) HD Graphics Family or ATI or Nvidia which ever be relevant for your computer. Type “C:\” without quotes in the search path and hit Next. You will see that the computer is searching for graphics driver from your Previous windows installation and automatically re-installing them. The above given steps should fix unable to wake up from sleep issue. Step 1: Again go to the “Device manager“. And right click on Intel(R) HD Graphics Family or ATI or Nvidia which ever appropriate for your computer and choose “Properties“. Step 2: Go to Driver Tab and Click “Roll Back Driver“, restart your Computer to take the effect. Step 1: Press Windows key + X from the keyboard. Step 2: Click on the Control panel and type “Troubleshooting” without quotes in the Control panel’s search box. Step 3: Click on the Troubleshooting and click on View all. Step 4: After it, click on the Power troubleshooter and follow the on-screen instructions. Step 5: Also try to execute the “System maintenance troubleshooter” from “Troubleshooting” lists after running “Power Troubleshooter“. Step 6: Turn off “Fast Restart” in the power settings.